Whenever people talk about Bourne Identity movie, I will be the first one to jump and say that a Tamil director adapted it even before the Hollywood thought about it. Although the second half goes into multiple directions, Vetri Vizha’s base was rooted in Bourne Identity. Prathap K Pothen for most moviegoers is that psycho from Moodu Pani or the eccentric director for Varumayin Niram Sivappu. For the millennials, he would be the doctor who rapes Rima Kallingal in Female 22, Kottayam or the random crazy psychiatrist in obnoxious movies but Prathap Pothen is a talented director who treaded into unknown genres and stories and was successful in them. 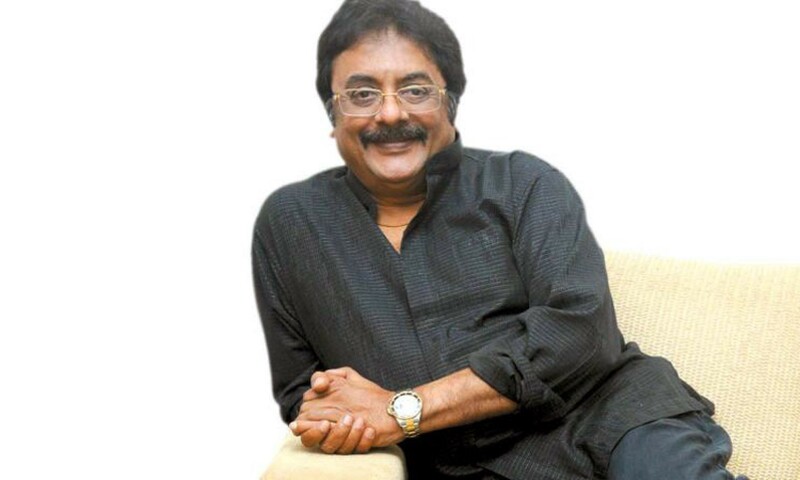 Prathap Pothen was the last son of a famous business family in Trivandrum. He studied BA Economics in Madras Christian College, Chennai and also did theatre, art, painting during his tenure in college. He started his career in advertising (started with Siasat and later with Hindustan Thomson) while performed in plays with Madras Players. His brother Hari Pothen was a famous producer in Malayalam cinema, and he visited the sets along with him, acquainted himself with directors like Bharathan and Padmarajan. He was cast in small roles by Bharathan in Aravam and Thakara against the wishes of Hari Pothen. Balu Mahendra saw the pictures of Prathap and wanted to cast him in Karaiyellam Shenbagapoo’s adaptation. The producers weren’t convinced about Prathap. The movie didn’t see through the end of the tunnel, but he later did the same role when the film was made. Balu Mahendra and Prathap’s friendship continued, and Balu introduced him in Tamil with Azhiyadha Kolangal, but Moodu Pani became the turning point in his career. He had a good run with directors like Balu Mahendra, Balachander and Mahendran who cast him in beautiful roles. But later his choices of movies went haywire, and he was typecast in eccentric characters. Prathap Pothen’s itch to write scripts and make movies pushed him to write Solla Thudikuthu Manasu (Directed by Lenin). His first directorial venture was Meendum Our Kadhal Kadhai that dealt with the relationship between two mentally challenged adults. The movie didn’t do well at the box office but fetched a national award for best debut director. Prathap Pothen chose exciting scripts, adapted a couple of books and never failed to challenge himself. He made Ritubhedam — MT Vasudevan Nair’s story about a wealthy Nair family and their decay, Daisy — a teenage love story that became a cult hit, Jeeva — a photographer getting caught into a web of murders, My Dear Marthandan — adaptation of ‘Coming to America’, Athma — a supernatural thriller, Seevalaperi Pandi — biopic of a notorious Robin Hood of Tirunelveli, Lucky Man — a supernatural comedy and Oru Yathramozhi — movie on relationship between father and a son. But I consider Vetri Vizha as his best because he adapted a book that Hollywood wasn’t thinking (it later became a series though). Any English book (or any other languages other Indian languages) is tough to adapt as an Indian movie because Tamil movies at that time needed glitz, glamour and songs. What fun in making the film in the way Hollywood wants us to do. Vetri Vizha is an adaptation of Bourne Identity but takes only the main thread of the story. An amnesiac undercover agent tries to retrace his life, finds out the truth behind his amnesia and eventually triumphs over the villain. The movie had Kamal Hassan in the lead supported by Prabhu, Khushboo, Sasikala, Amala and Salim Ghouse as Zinda. Although the first half of the film traces the storyline of Bourne Identity, Prathap treads into commercial potboiler elements in the second half with the introduction of Prabhu and Khushboo, the comedy sequences and the songs. The climax is a brilliant action sequence shot on a ship where Kamal and Prabhu try to defuse a bomb. According to both Prathap and Kamal, they had to make compromises for commercial reasons, but I don’t think the movie would have made sense for the audience if it had been only Bourne Identity. And at the same time, the film is not a usual action masala that people expected. Vetri Vizha was one of the earliest movies to have a non-linear narrative like the book. The villain is introduced after almost 1 hour and 20 minutes (how menacing Salim Ghouse was as Zinda! ), the hero is a lot more vulnerable than the usual Tamil movie heroes, and the action sequences were brilliantly choreographed and shot. And when you give such a movie to Ilaiyaraaja, he bamboozles you with songs and background score. I am still in awe of Thathom Thalangu Thathom. Although Salim Ghouse was born in Chennai, he became famous after his roles on Bharat Ek Khoj, and he started his career with FTII. He was known for his theatre work and became a hot property after his role in Vetri Vizha. He did some strong negative roles in movies like Chinna Gounder, Thazhvaram and Thiruda Thiruda. But eventually, his love for the theatre made him go back to his roots. Except for some obnoxious villain roles in Vettaikaran, he hasn’t been challenged enough like Vetri Vizha. 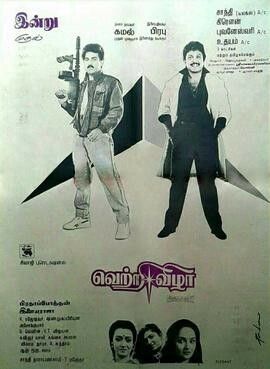 Vetri Vizha was a huge commercial hit and ran for 175 days. The movie got a digital release in 2017. Fun fact: Sasikala is seen reading a book while Kamal is unconscious on the hospital bed. Yup, you guessed it right. It is Robert Ludlum’s Bourne Identity. I am sure there is another scene where Kamal reads the same book (I couldn’t find it in the online versions). Such is the cheekiness of Prathap and Kamal.